Everyone loves those bright colorful eggs that go chugga-chugga-chugga when you shake them. 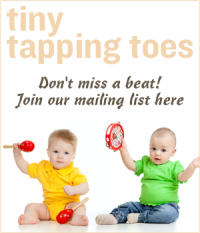 They’re a wonderful addition to any classroom or children’s music area. But, can you whip up your own version at home from recycled or on-hand materials? Absolutely! Supplies for this craft are easy. Any “child-proof” medicine bottle. A small amount of any type of filling such as dried beans, beads, rice, bird seed, grain (such as quinoa), sand, salt or tiny pasta like pastina. You’ll also need a sturdy tape – colorful electric tape works wonderfully and doesn’t unravel after hours of play. What if you don’t use that kind of bottle? Ask around. Often friends, colleagues, neighbors or family can save an item like this for you and you can save one more plastic product from making it’s way into the waste stream. This craft couldn’t be easier. Simply fill and seal your bottle. Before you add the tape, make sure you enjoy the sound. You might be surprised how having less filling in a bottle can create a nicer sound. Is your rattle loud or soft enough? If not, adjust what you’ve put inside. Although I usually recommend that parents or caregivers make crafts with kids, this is one that may be best to make without the children present. Since the project uses aspirin or medicine bottles, it may not be a great idea to give the impression that these bottles; when filled with their original contents, are playthings. To cover the bottle and turn into a shaker egg, wrap it in tape. 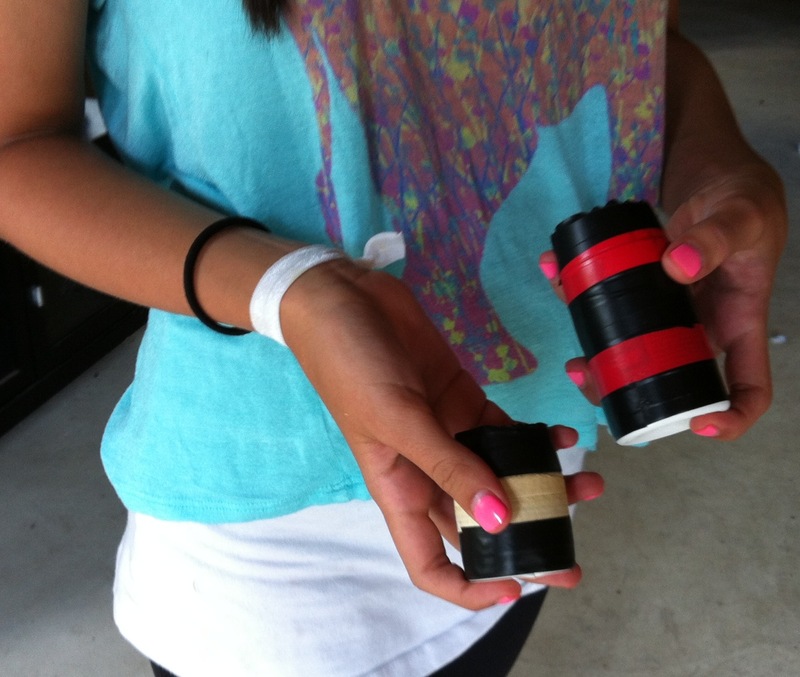 Feel free to be creative with striped patterns using different colored tape, if you like. How complex can playing shaker eggs be? You might be surprised at the many different ways you can play them. Swoosh the contents around inside (in a circular motion). Shake two different eggs – one in each hand. Shake two different eggs, alternating back and forth. 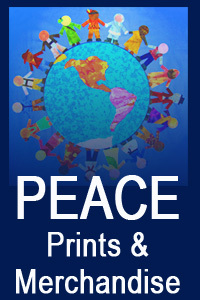 You get the idea – right? 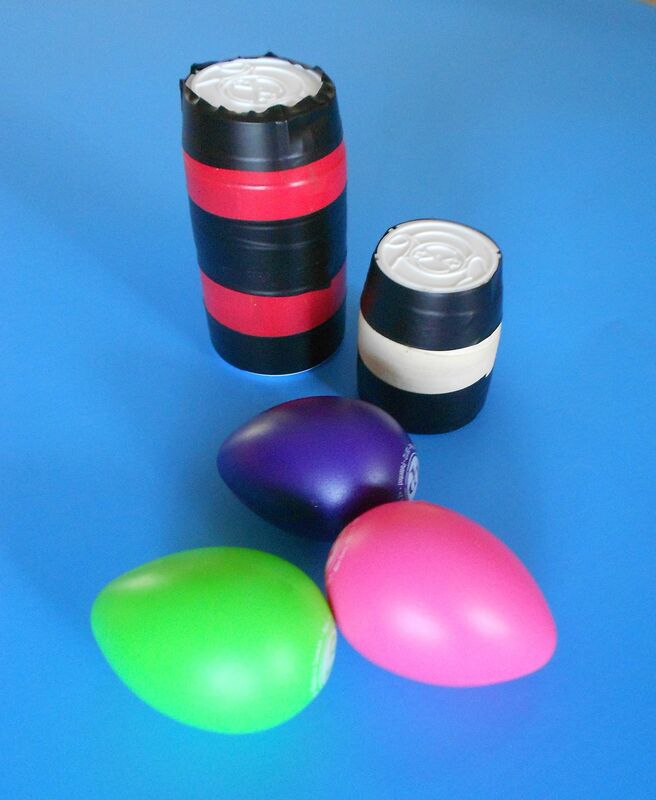 Even this simple egg-style shaker can be great at building motor skills, listening skills or as a part of any musical activity. If you’ve made several eggs with different fillings, you’ve probably noticed that each sound a bit different. 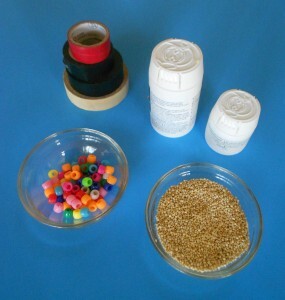 Larger beads or dried beans will make a louder noise. Tiny beads, grain or sand will make a very quiet sound. 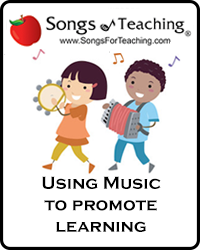 This can be a fun way of learning loud and soft or interacting with your child. Ask them questions like: “which egg shall we use for this song? What sounds best to you?”.